Things looked positive a week ago in Dave Roberts/Dodgers multiyear talks. But things are at a standstill at the moment with the sides still apart. By picking up the option, LA has a year to work it out. So there’s that. Sigh. Word is, Roberts is searching for something similar to what AJ Hinch got from Houston — 4 years, $12 million. I’d be more than willing to sign him to that deal, seeing as managers are, on the whole, underpaid. His option for 2019 is $1.1 million, while the MLB minimum for players is $545,000. Even the highest-paid managers — Joe Maddon and Bruce Bochy — are making $6 million a season. Hell, the Royals are paying Ned Yost $3.7 million, and the Dodgers can’t bring themselves to pay Roberts close to that? I mean, what else could the sticking point be other than money? Maybe it’s term, but if that’s the case, then you have to wonder if this group even wants Roberts to be the manager for the long run. Eric Stephen said on the most recent episode of his podcast that two other managers were hired when the Dodgers hired Roberts after the 2015 season — Andy Green and Scott Servais. Both of them have received contract extensions. The Padres have won an average of 68 games in Green’s tenure. The record isn’t impressive, but Green is extended through the 2021 season because he’s obviously doing something right in that clubhouse. The Mariners have won an average 84 games in Servais’ three seasons. If you set aside the potential legal trouble Servais (and GM Jerry Dipoto) might be in (only because the extension was signed in July), it’s easy to see why Servais was extended. The rub here is, neither of them have taken their teams to the playoffs, let alone two consecutive World Series appearances like Roberts has with the Dodgers. I will admit, Roberts isn’t the best tactician. Sometimes he takes a pitcher out too early, sometimes too late. Sometimes he chooses the wrong reliever. It happens. But what Roberts has done in the clubhouse — after so many seasons of hearing about disturbing dysfunction and bad chemistry — is remarkable. You haven’t heard of any rifts in the clubhouse during his tenure even with all the egos, and the guys all appear to genuinely like playing with each other and playing for Roberts. That’s the No. 1 reason he was chosen to manager this club, and he has done an excellent job doing that. Roberts has also been more than receptive to feedback from the front office (and no, the front office doesn’t make the lineup, no matter how much you want to believe that stupid narrative). He’s basically the perfect fit for this job. No manager is perfect on the field, but Roberts is about as close to perfect in every other aspect of his job. The fact he does not yet have a contract extension is beyond ridiculous. 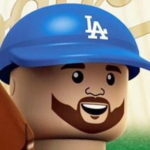 While I understand the Dodgers had to handle the Clayton Kershaw situation and have lost other personnel — Farhan Zaidi, Turner Ward, Chris Woodward, just to name a few — that hammering out a contract extension for a manager who has guided his team to three consecutive division titles and won two pennants (something no other Dodger manager has done since Tommy Lasorda) isn’t a bigger priority is a bit of a slap in the face. Look, I realize there are some things behind the scenes we don’t know about and we’ll probably never know about, but are those potential issues big enough to keep the Dodgers from giving Roberts the contract extension he not only deserves, but has earned? Seems highly unlikely. 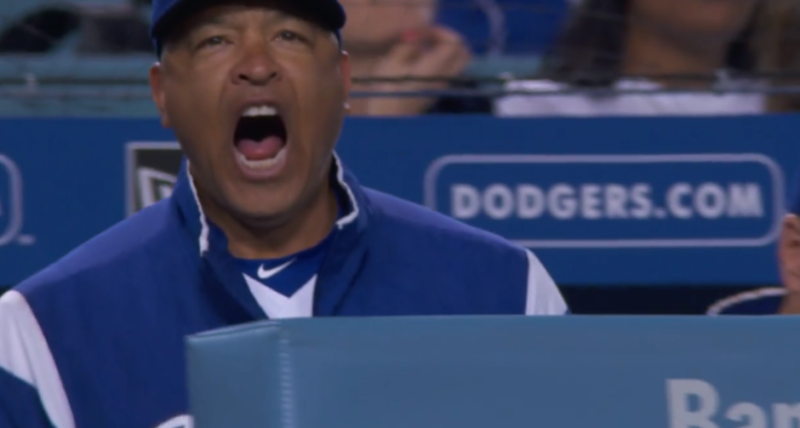 Dave Roberts is a good manager, and that goes beyond what happens on the field. If you think otherwise, well, I guess you’re entitled to your opinion. Get it done, Andrew Friedman. There isn’t a better manager to run this squad for the foreseeable future. If you don’t, get ready to hear an unhealthy amount of the fan base clamor for a demonstrably worse manager in Mike Scioscia or somebody of that nature. Next Who could the Dodgers target if the Mariners go into a full rebuild?